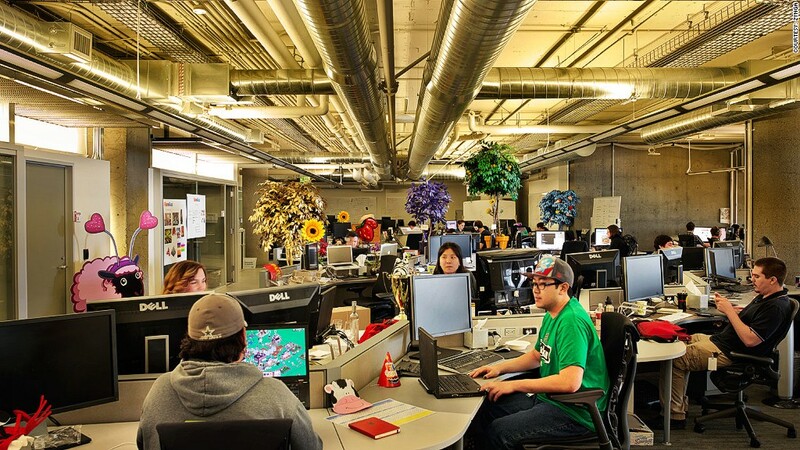 Zynga laid off 5% of its employees from multiple offices Tuesday. The gaming pioneer best known for FarmVille and its other -Ville franchises shut down its Boston studio, laid off staff at its Austin office, and proposed closures of its Japan and UK outposts. "Earlier today, we initiated a number of changes to streamline our operations, focus our resources on our most strategic opportunities and invest in our future," Zynga CEO Mark Pincus said in a note to staff. "As part of these changes, we've had to make some tough decisions around products, teams and people." Employees were notified of the layoffs during Apple's widely hyped iPad mini announcement. The news comes ahead of Zynga's (ZNGA) third-quarter earnings report set to release Wednesday. In addition to layoffs, Pincus said the San Francisco-based company would be "significantly reducing" its investment in The Ville franchise, and would be shutting down 13 games under the Zynga umbrella. The social gaming company is facing mounting pressure as it struggles to keep users buying virtual goods on its biggest platform: Facebook (FB). The social network makes money from games like Zynga's Farmville and Mafia Wars, but users have cut back on their purchases. Facebook's latest earnings report showed a 20% decline in payments revenue from Zynga over the last year. Zynga has been focused on building out its mobile platform, scooping up gaming company OMGPop, the maker of Draw Something, in March. But it's unclear whether the investment paid off. In the company's last earnings report, Pincus said the game had "underperformed verses our early expectation." Several weeks ago, Zynga lowered its outlook for 2012, citing reduced expectations for various web games.